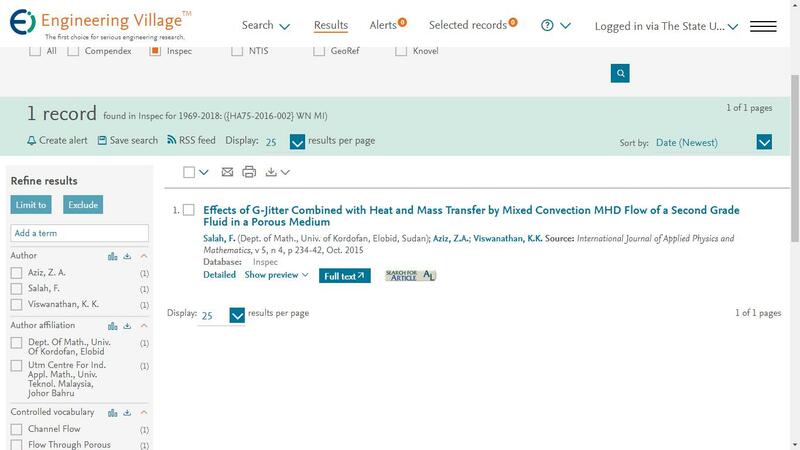 Feb 22, 2019 News!The paper published in Vol.9, No.2 has received dois from Crossref. Dec 21, 2018 News!The paper published in Vol.9, No.1 has received dois from Crossref. Oct 10, 2018 News!The paper published in Vol.8, No.4 has received dois from Crossref. 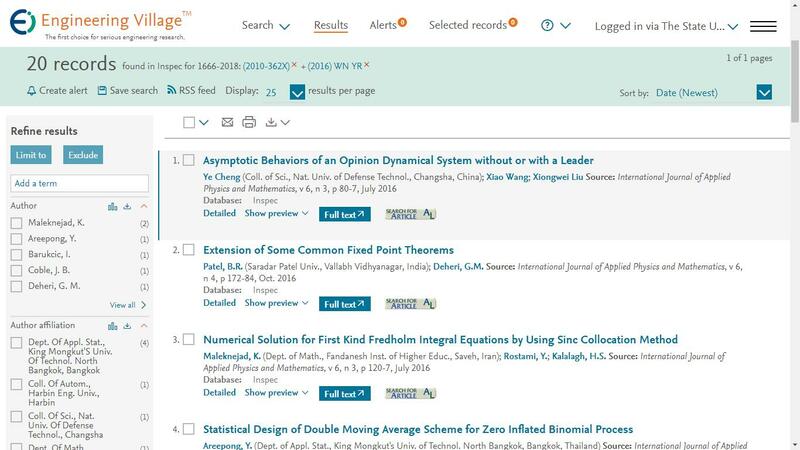 Apr 23, 2018 News!The paper published in Vol.8, No.3 has received dois from Crossref. Feb 06, 2018 News!The paper published in Vol.8, No.2 has received dois from Crossref. Jan 24, 2018 News!The paper published in Vol.8, No.1 has received dois from Crossref. Nov 15, 2017 News!The papers published in Vol.7, No.4 have all received dois from Crossref. Aug 10, 2017 News!The papers published in Vol.7, No.3 have all received dois from Crossref. Feb 22, 2017 News!The papers published in Vol.7, No.2 have all received dois from Crossref.